This qualification is aimed at those who are involved with interior systems (Interior Fit-Out) - Dry Lining in Construction. Although it is not expected that all workers will complete the same tasks, there are 3 mandatory units common to all pathways. This qualification is at Level 2 & 3, although some units may be at different levels and should be taken by those who are fully trained to deal with a range of tasks and situations. Candidates should require minimum supervision in undertaking the job. 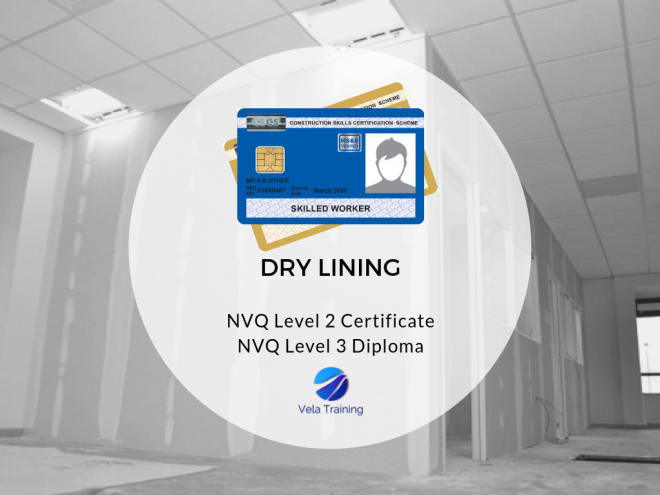 Achieving this NVQ Level 2 will entitle you to the CSCS Blue Card and the CSCS Gold Card for the NVQ Level 3. For a full list of our qualifications and CSCS card entitlements follow this link.